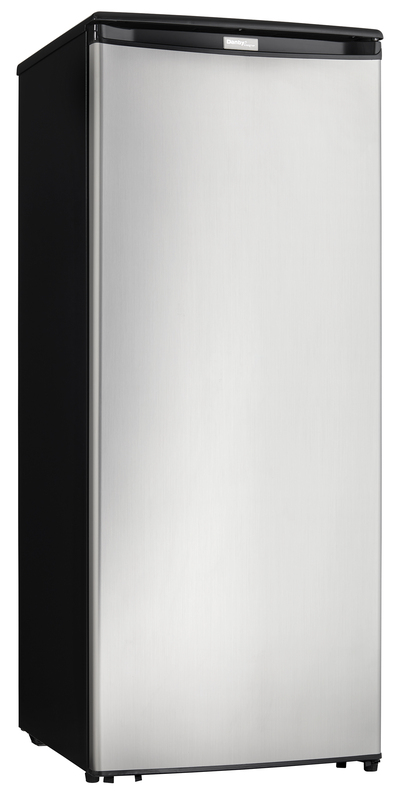 This modern upright freezer by Danby is ideal for any type of household. The upright freezer design allows it to easily integrate into any setting and the generous 8.5 cubic feet (241 litres) of storage space is ideal for smaller families and couples. There’s plenty of cooling area due to the four handy door shelves and three additional quick-freeze shelving units. 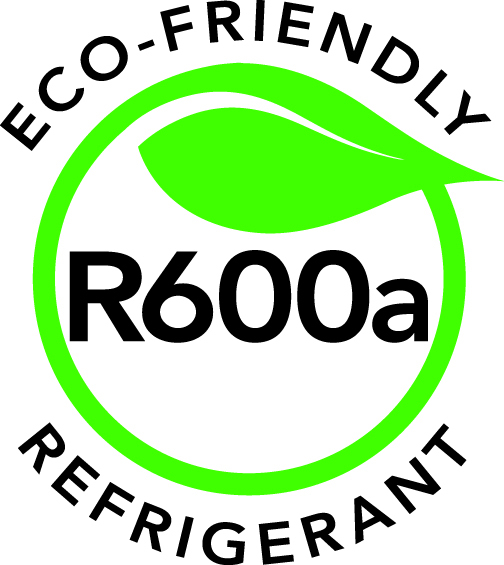 The convenient manual-defrosting function makes it easy to maintain and stay ice-free and it also features an internal drip tray. The ultra-modern mechanical thermostat is a breeze to program and monitor while the scratch-resistant worktop is ideal for storing extra accessories and best of all it is Energy Star® compliant. This ultimate freezer also features a reversible door hinge which allows you to adjust for either left or right-handed opening and offers an 18-month warranty on parts and labor with in-home service. 18 months in home parts and labor. Installation and/or yearly maintenance (cleaning) are not covered under warranty. Can I put an extension on the power cord? We do not recommend using an extension cord. What is the temperature range on my freezer? The temperature range varies based on model. Please consult your owner’s manual or the product page on the website. What type of defrost system does the unit have and what does it mean (ie. cycle defrost)? This varies based on unit and model. See your owner’s manual for defrost type and instructions. Why can’t I have my freezer in an outside kitchen or in the garage? Why does this void my warranty? Our freezers are not designed for outside installation. This also includes anywhere that is not temperature controlled. IE. garages, porches, carports, etc. What are the standard wattage and amps used? Information pertaining to watts and amps can be found on the rating plate located on the back of the unit. What is the internal capacity of my unit? Please refer to your product on www.danby.com. How much does it cost to run the unit? Is my electricity bill going to sky rocket? Please refer to the energy guide associated with your unit. I am having trouble opening the door why? Have you recently opened and then closed the freezer (over the last 1-5 minutes)? If so, being unable to open the unit again right away is an indication that your door seal is working well.